'New York Times' Is Not For Sale, Sulzberger Says : The Two-Way After it was announced that Amazon.com founder Jeff Bezos is buying The Washington Post, there was renewed speculation about the Times. But the newspaper's publisher and chairman has rejected such talk. 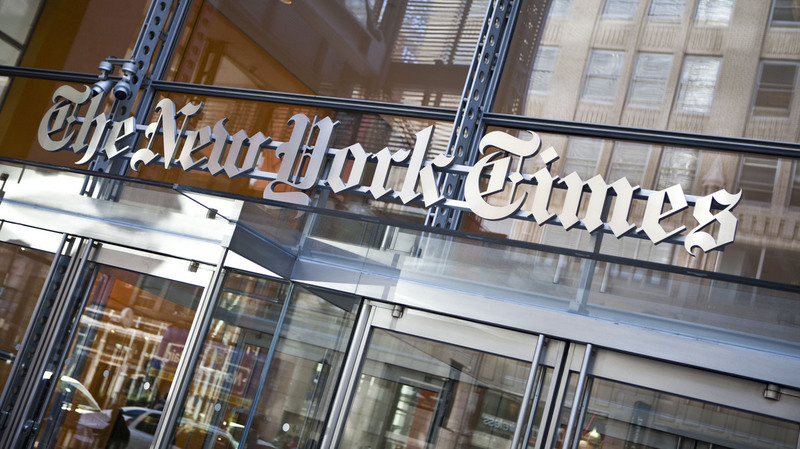 Responding to speculation that his newspaper would be next, New York Times Publisher and Chairman Arthur Sulzberger Jr. has issued a flat "the Times is not for sale" statement. Sulzberger's declaration follows this week's announcement that the Graham family is selling The Washington Post to Amazon.com founder Jeff Bezos. That sale increased the talk about the nation's other major newspaper family — the Sulzbergers — getting out of the distressed business. But Sulzberger says in the statement (released with Times Vice Chairman Michael Golden) that "the Times is not for sale, and the trustees of the Ochs-Sulzberger Trust and the rest of the family are united in our commitment to work together with the company's board, senior management and employees to lead The New York Times forward into our global and digital future." "of course, it's possible that someday Bloomberg will make the Ochs-Sulzberger family an offer it can't refuse. (Reuters reports Bezos paid four times what the Post is worth.) But for the time being Bloomberg is said to prefer the Financial Times, if he does in fact decide to expand his media empire."